It Bangla tips and tricks How to open a program using run command? The computer is essential in our daily life. We cannot walk a step without a computer. We are very busy in our daily life. We cannot spoil a single second. Today I am giving you a tips and tricks. How to open a program using run command? You can easily open a software by using the Run command. No need to go to Start- all programs and then search your software. It's easy but time taking and spoil your time. No need to fill your desktop with shortcuts. It is looking very ugly. 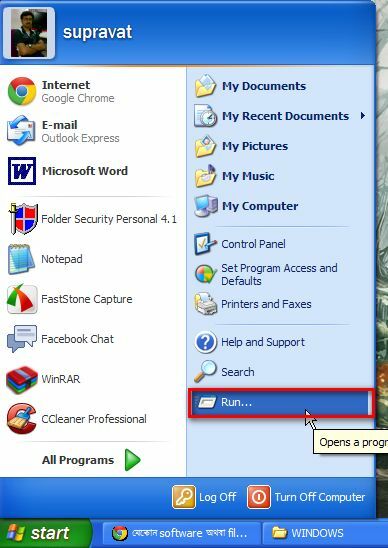 You can open any kind of software by using the Run command. Then double click on windows and open it. Paste the shortcut which you copied before. You can rename the software shortcut here. In this way, you can copy all the shortcuts and paste them in windows. Now you start your work. Now open the Run option box. Type the shortcut name. Press enter. Your software is open now. I will show you an example. 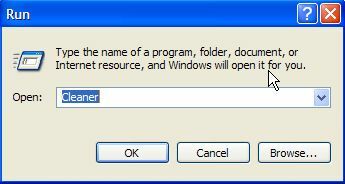 Suppose I want to open the CCleaner Professional software. Go to run type [Cleaner], and then press enter. The CCleaner Professional software is starting to open. I thing you like this tip. Wish you all the best.